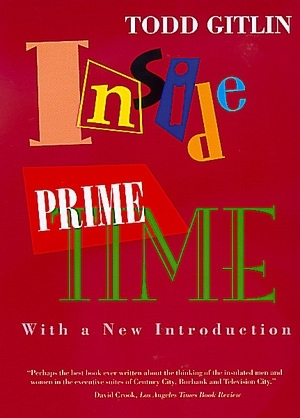 Unsurpassed since its first publication, Inside Prime Time is the only book to take us behind the scenes to reveal how prime-time shows get on the air, stay on the air, and are shaped by the political and cultural climate of their times. Using more than 200 interviews with network executives, producers, writers, agents, and actors, as well as months of on-set investigation during the networks' more prosperous years, sociologist and critic Todd Gitlin takes us into a frantic world searching for hit shows. The result is both a lucid picture of the mechanics of prime time and a series of vivid stories of what succeeded or failed, and why. His analysis includes a blow-by-blow account of how the exceptional police series Hill Street Blues succeeded against all odds before eventually succumbing to formula itself. No one else has analyzed, as Gitlin has, the inside track that links executives and producers, or the efforts of worried advertisers, hopeful writers, and the lobbyists of the fundamentalist right to shape America's waking hours. In a new introduction, Gitlin describes the elements of the new television order, and argues that the proliferation of cable channels and the decline of the old networks have not fundamentally changed the business mentality that guides decisions about the entertainment that will fill Americans' leisure time. Todd Gitlin is Professor of Culture, Journalism, and Sociology at New York University. His books include Sacrifice (1999), The Twilight of Common Dreams (1995), The Sixties (1987), and The Whole World Is Watching (California, 1980).